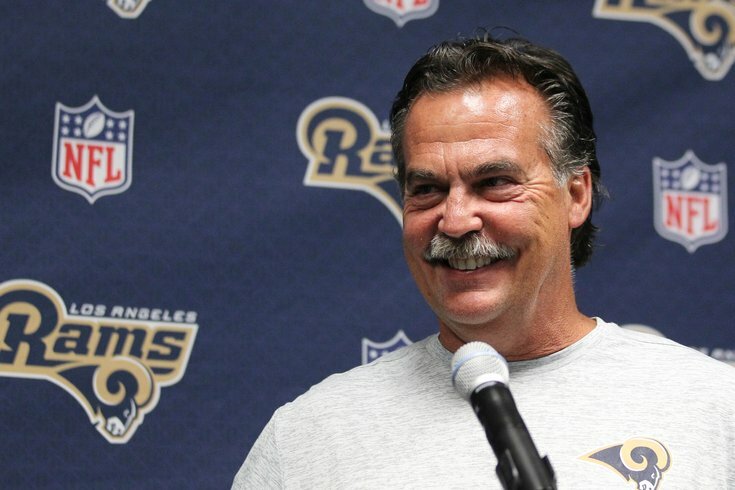 Jeff Fisher's Rams are perpetually young, but bad. As of roughly 9:15 p.m. on cut-down day, when we finished collecting data from all 32 NFL team website rosters, the Los Angeles Rams had the youngest team in the NFL. The Atlanta Falcons are the oldest. By the time you read this, this data will already out of date as teams continue to make tweaks to their rosters, although even with continued roster movement, the average ages of each team shouldn’t change much. MORE ON THE EAGLES: After Bridgewater injury, Roseman calls audible on Eagles' season | Twitter reaction to the Sam Bradford trade | A look at the Eagles' final 53-man roster, with analysis | Eagles trade QB Sam Bradford to Vikings for 1st and 4th round picks | Philadelphia Eagles 2017 draft picks | Should Carson Wentz start Week 1 for Eagles? Note: Every year I do this study, I seem to get the same basic comment, which I'll address ahead of time. "The difference between the Rams and Falcons is only 2.08 years. Big whoop." While 2.08 years may not be a big difference between two individual players, keep in mind that these are the average ages of 53 players per team. 2.08 years on average * 53 players = A difference of about 110.3 total years between the Rams and Falcons. In other words, if you took the 22 oldest Falcons and shaved 5 years off each of their ages, their roster still wouldn't be as young as the Rams.